The Nick DeWolf Foundation is a nonprofit organziation based in Aspen, Colorado. Its core tenet is to provide support to groups and organizations interested in improving the quality of life and education in the world. Born in Philadelphia, Pennsylvania in 1928, and a graduate of the Massachusetts Institute of Technology (1948), Nicholas "Nick" DeWolf was co-founder of Teradyne , a Boston, Massachusetts-based manufacturer of automatic test equipment. DeWolf founded the company in 1960 with Alex d'Arbeloff, a classmate at MIT. During his eleven years as CEO of Teradyne, DeWolf is credited with designing more than 300 testing systems, including the J259, the world's first computer-operated integrated circuit tester. 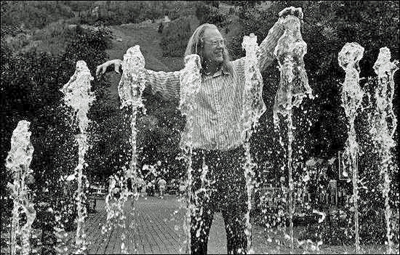 In 2001, DeWolf was awarded the Telluride Tech Festival Award of Technology. In 2005, the Aspen Center for Physics thanked Nick and Maggie DeWolf for their continuing support by naming an annual lecture series in their honor. The DeWolfs were inducted into the Aspen Hall of Fame in 2005.